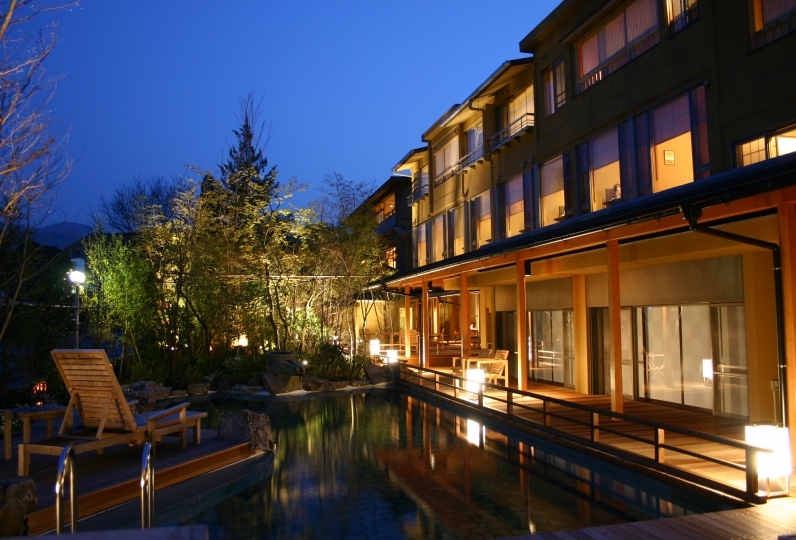 The well-established luxury ryokan Ochiairou Murakami is surrounded by beautiful nature at the foot of the Mount Amagi. Established in the first year of the Meiji era, Ochiairou was later renamed by Yamaoka Tesshū a politician and founder of the Itto Shoden Muto-ryu school of swordsmanship. 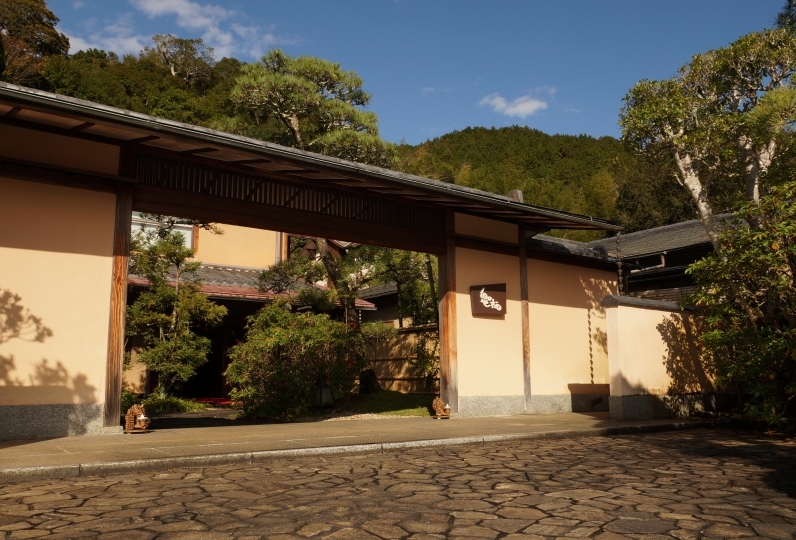 The building and architecture of the ryokan is considered a tangible cultural property. There are various artwork by craftsmen such as shoji and transom can be found all over the premise. We are proposing a new way to offer hospitality that satisfies our guests while preserving the historical and cultural assets of the building. Find your own style in our custom room Rin. This villa is recommended to those who wish their stay to be quiet and comfortable. Stay until 12:00am so that you can relax after breakfast. 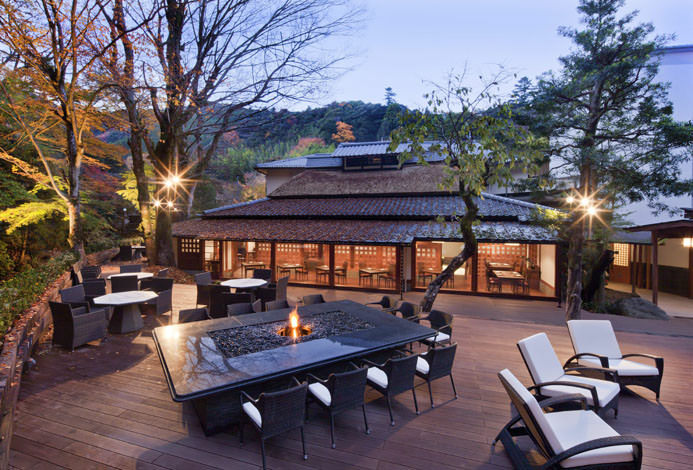 The unchanged style of this beloved inn is perfect for guests wanting to sleep in a futon on tatami floors and taste the seasons in their dinner. 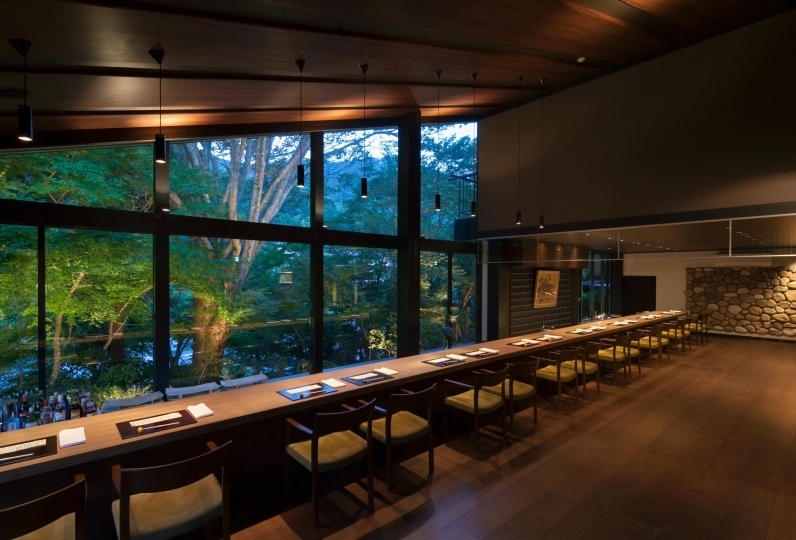 At Ochiairou, you can relax by the river or read a book in the quiet lounge. Enjoy the 100% naturally sourced hot spring and the large open air bath along with the free reserved private bath. Staying at Ochiairou Murakami is like traveling back to the beginning of the Showa era. Why not immerse yourself in its history and cultural assets? I was able to spend calmly in a quiet environment. My wife's physical condition is not good and it causes trouble, but I felt very grateful to be able to cope properly. It was also appreciated that we could respond promptly to cases where we forgot to receive a credit card when making a payment. The atmosphere was very good as it was also a lodging of cultural property. Thank you very much. If you have any questions about Izu, I would like to use it again. Although it was staying with one person, I was able to do it very slowly with moderate communication, thank you. I am very fortunate to live in a century-old building. This is a Japanese-style building with only 14 rooms. We have four people. We book two rooms that are open to the public. The indoor area is very large and there are two sets of bathroom equipment. Two rooms, a living room and a round table restaurant. But the dining room is in a public banquet. The outdoor garden view and hot spring baths are impressive and very satisfying accommodation experience! ・Coffee and jelly are available in the lobby. Beer and whisky are also served in the evening. ・This Ryokan has a long history of 140 years. A tour of the ryokan is conducted by the manager in the morning. ・You are also free to walk in the surrounding forest area. This plan does NOT include bath tax (¥150).